Maybe that’s the main source of melancholy in this song, a tune that seemed to allude to an end of an era, for good or ill.
For this strain of pop music, it seemed that more was more, kind of a photo negative to the grunge and punk revival scenes popular earlier in the decade elsewhere. It was as if at the edge of the twenty-first century, many songwriters and bands that followed a similar path to Cousteau simply decided to go all in with their sound on a grand scale. Maybe too in the case of Londoners Cousteau, this was merely an alternative approach to Brit-pop which was over by 1999, also having mined the past in order to craft a sound to suit modern times that were moving ever closer to a numerical milestone. In this song, the idea of changing seasons is built right in, with references to summer passing into autumn, and with the underlying suggestion too that perhaps the best was behind us. This was a powerful concept to evoke at the time, as we approached the new century with trepidation after a period of relative political and economic calm. Amidst all of the Y2K scares and images of planes falling out of the sky due to computer glitches, there was a sense that we were going into a new era from which there would be no return, with all of the implications of that being a mixed blessing. With that in mind, I think it’s this which makes this song so resonant, continuing to be so today. As applicable as this was in 1999, it’s the same at any point in our lives when we feel, in our darkest moments, that the best times of our lives live now only in our memories when the world made the most sense to us. As is becoming more and more apparent to me, and to others of my generation by 2016, the world is no longer aimed at us. Its cultural icons, its technology, its very language are now aimed at the young, with a sort of cloak of invisibility laid across our shoulders when it comes to being the audience at which these things are aimed. Things are changing all the time, with the cultural anchors of the past loosening their grip as icons of the past die off, and take the world they created with them. The same was the case with the generation before us, and will be the case for the one coming up. That’s just the way it is. Perhaps this song is best positioned as one that reminds us that we remain to be creatures in time whatever era we find ourselves in, with our worlds ending and beginning anew all the time. The good news is that in our current version of the world, the tools to draw meaning from our surroundings have never been more accessible to us. It’s never been easier to share our points of view and our vision of the world with others, drawing ourselves into community, even if that community is of the virtual sort. What’s more, we are free to revisit the textures and forms of the past to feed our future in the very same way that Cousteau did with this song. In this sense, nothing ever gets quite as old as it once did, with the old becoming new as long as someone new is discovering it for the first time. 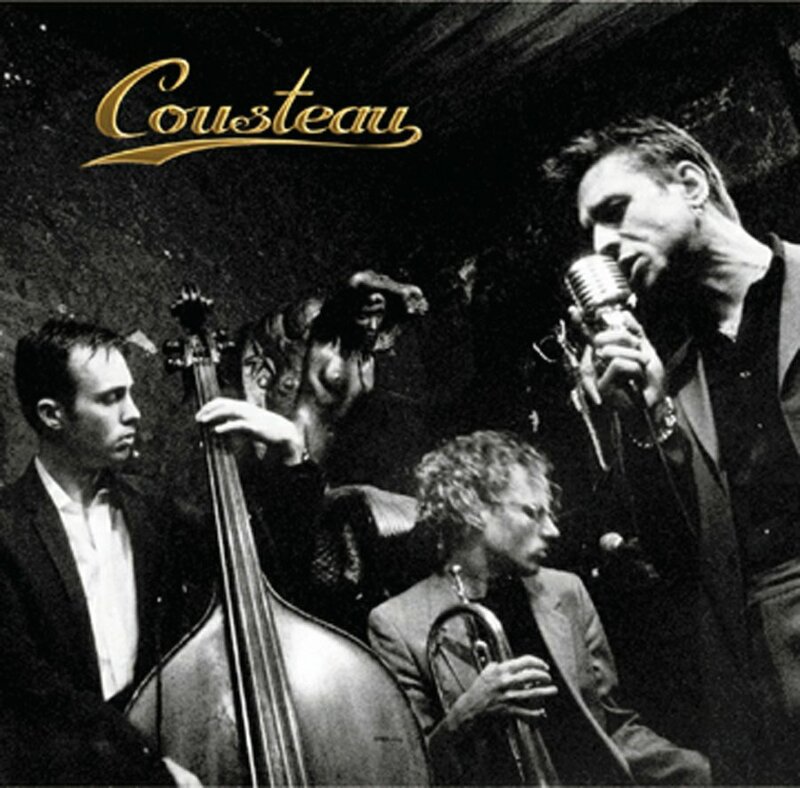 Cousteau continued to operate in various forms until 2o05, where upon the members went in different directions. But, recently the principle members of the band, songwriter and instrumentalist Davey Ray Moor and singer Liam McKahey have made plans to reform as CousteauX, with further plans for new music later this year.